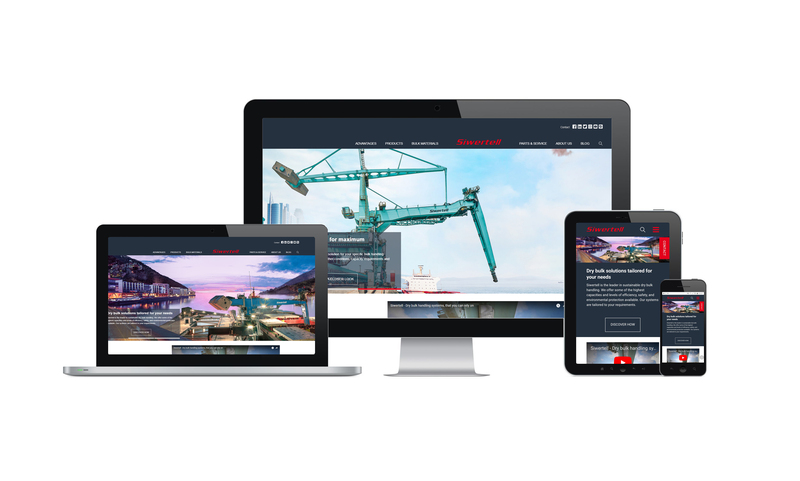 Siwertell, part of the Kalmar Business Area within Cargotec, has launched its completely redesigned website, which provides visitors with quick and easy access to new features and a more comprehensive view of its innovative products and services. "Our new website is part of Siwertell's identity, reflecting our modern, forward-looking approach to dry bulk handling and customer relations," explains Per Karlsson, President, Siwertell. "It showcases our wide range of market-leading products and services, while also serving as an important source of information and communication for our existing clients, potential clients and industry professionals." "We are very excited about our new website launch and the improved functionality it provides for customers and operators," continues Emily Brækhus Cueva, Marketing & Communications Manager, Siwertell. "Naturally, potential customers want to know about existing deliveries and past projects, so we have added a customer case archive that illustrates the scope of our operations. These are continuously updated to create a diverse information platform for all trades and needs and demonstrate our position as a reliable, efficient and environment-friendly solutions provider. "New visual aids help users to better understand the functions and features of Siwertell equipment and terminal solutions," she continues. "As well as adding vibrancy to the site, images, illustrations, infographics and interactive functions provide a quick overview of the capabilities and advantages of each Siwertell product." The careers page has been extended to promote available positions. The inclusion of colleague testimonies provides an insight into Siwertell's company culture and work environment, as well as conveying a true flavour of what it is like to work in the industry. The site also features a new Siwertell blog; an information hub for all aspects of dry bulk cargo handling. It includes the latest industry news and trends, information about different bulk cargoes and on-going commentary and analysis on the major issues currently affecting the industry, including environmental protection, sustainability and safe operations. "It also acts as a platform for tips and advice, as well as highlighting and discussing potential problem areas linked to bulk handling operations," Ms Brækhus Cueva adds. Along with the website launch, Siwertell has also started up four new social media channels. It is now possible to find and follow Siwertell on LinkedIn, Twitter, Instagram, You Tube, Facebook and Issuu. "Through these multiple networks, Siwertell will extend its online visibility and is better equipped to further develop customer relationships," she concludes. The new website will be regularly updated with news, business activities, corporate milestones, customer cases and events. Visitors can also sign up for Siwertell's newsletter to get the latest news sent directly to their inbox.